Location: Braine-l'Alleud, Walloon Brabant, Belgium. 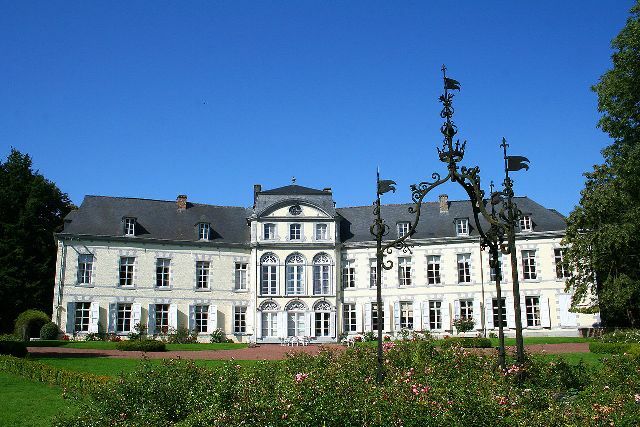 Notes: Bois-Seigneur-Isaac Castle (French: Château de Bois-Seigneur-Isaac) is a stately home in Ophain-Bois-Seigneur-Isaac, part of the commune of Braine-l'Alleud, Walloon Brabant, Belgium. The present building dates from 1737, but the site is substantially older. Associated with the Snoy family, the château's notable residents include the diplomat Jean-Charles Snoy et d'Oppuers (1907–91).